Stream anime episodes online for free. Watch Starship Operators Episode 13 English version online and free episodes. Anime Episode guide, Chapter Starship Operators Episode 13 English dubbed Moment of Truth Using the Amaterasu incident as a rationale, the Earth Federation stages a massive coup d’ÃƒÂ©tat, and demands the surrender of the Amaterasu. In the face of inevitable defeat, Sinon formulates a political strategy of her own.The Amaterasu’s crew escaped via shuttle while Dita broadcasts the earth Alliance’s attack on the guard ship. 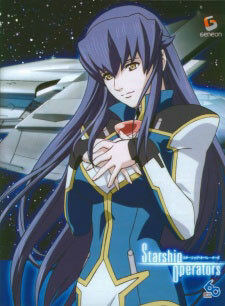 Shimei Yuuki, the only commissioned officer decided to be left behind.